My daughter came up with a list of Ramadan goals she can work on throughout the month. I helped her refine them into categories that will hopefully make it easier for her to understand the benefit and good that will come from each goal. MONDAYS we will focus on donating something physical. TUESDAYS we will dedicate to sharing and caring for others. WEDNESDAYS will be dawah day. 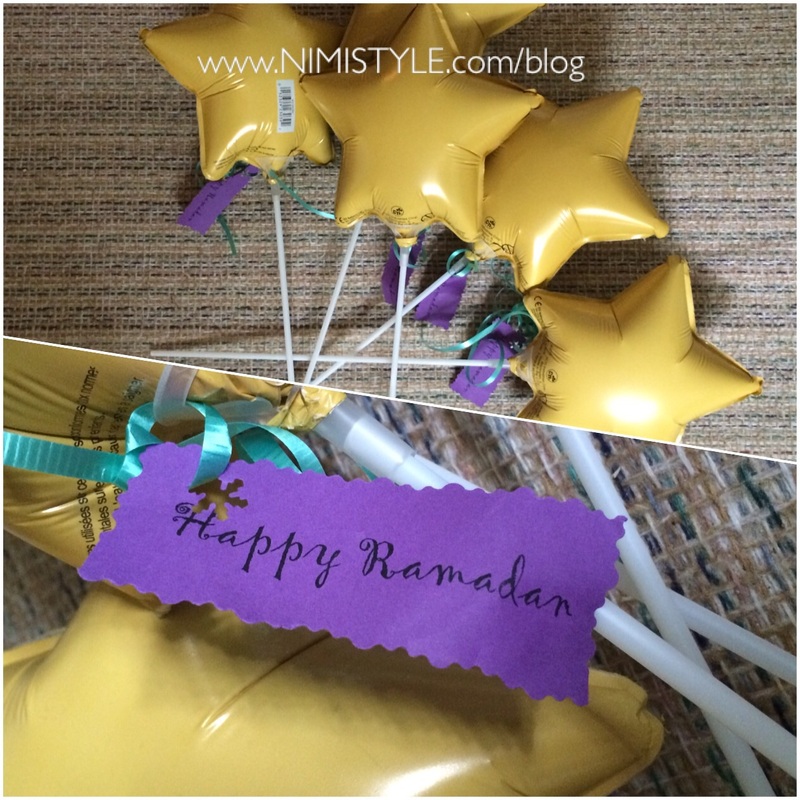 We will be going to various parks and handing out goodies with “I’m Celebrating Ramadan” tags attached. THURSDAYS will be crafting at home. FRIDAYS we will practice a sunnah. 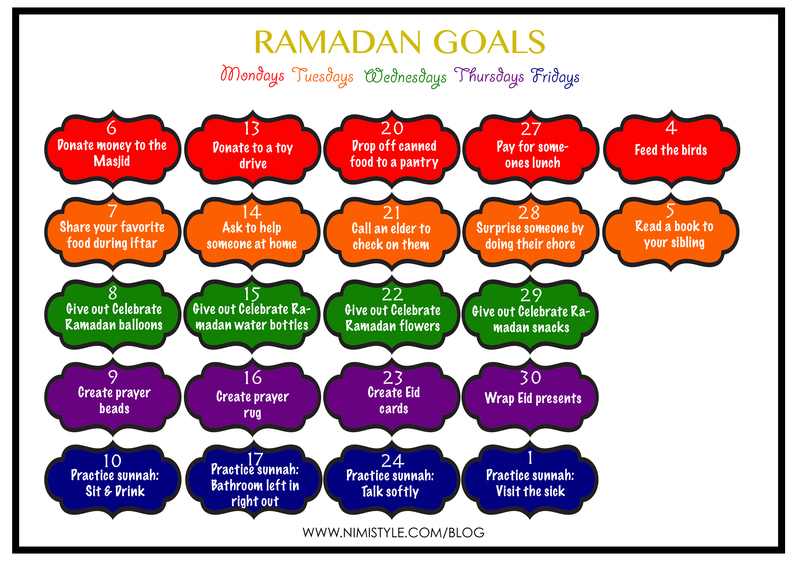 Have you or your children set any goals for Ramadan? This is amazing! Masha Allāh your munchkin is has quite the intellect to come up with such creative ideas. On a side note: please don’t ever delete this post. I’ll need it to use for when my rugrats are of age.